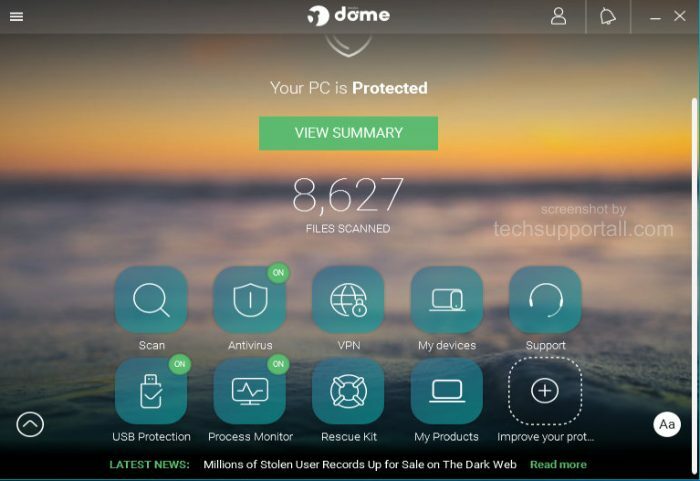 Panda security has introduced new Panda Dome. It is a new user interface for Panda security and their other products. In Dome panda bring together all its products at a single platform. It has independent modules to which users can subscribe, as and when they required. Features can be added or removed just with a single click. Panda dome is 100% customizable. It can adapt according to the users’ requirement. By default panda comes with four subscription plans having different set of features. These are Essential, Advanced, Complete and Premium. 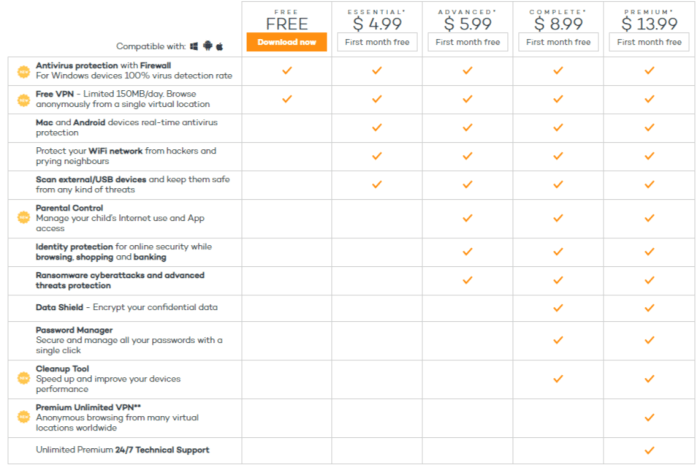 Below is a detailed comparison of all dome packages. It also includes a rescue kit which is a emergency bootable kit. It is useful when a computer is locked by a virus. Using this rescue kit a bootable USB can be created which can be used to boot up and repair the computer. It also includes USB protection. Today USB drive are also a big cause of spreading malware. Panda security has introduced many new features in its security suite. New firewall included in premium and free version. A VPN to browse internet anonymously. Cleanup tool to improve devices’s performance. Please share your experience with new Panda dome using the below comment box.